Sutton Grange is located on the southern edge of the Bendigo region, and for many years was known for its thoroughbred racing facility. Since planting of the vineyards in 1998 it is now recognised for the wines it produces. The Sutton Grange vineyard is cultivated using organic and biodynamic methods, and the wines are traditionally handcrafted by winemaker Melanie Chester. The wines combine distinctive style and interpretation with our organically grown estate fruit creating wines that express the uniqueness and characteristics of the site. Producing two labels, Fairbank – the original name of the property in the 19th Century, and our Estate range. 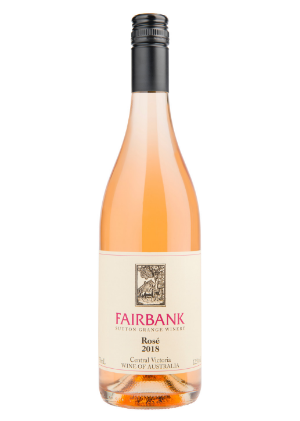 Wines under the Fairbank label are crafted to be approachable, fresh and fruit driven. The Estate wines strongly demonstrate the terroir and characteristics of the farm, also included in the range are some less known varieties such as Aglianico. FOR MONEY WINE IN AUSTRALIAN WINE"
Both labels (Fairbank and Sutton Grange Estate) are available at leading restaurants and bottle preferred wine sales outlets. Open Every Sunday from 11-5pm. Live music, free wine tastings, and regional tasting platters the Sutton Grange Winery cellar door is the perfect venue for your Sunday afternoon Wine Down. For bookings and enquiries please phone 5474 8278or 8672 1478 or cellardoor@suttongrange.com.au. We look forward to welcoming you to Sutton Grange Winery. Join us for Mother’s Day on Sunday 12th May. Enjoy a glass of wine and grazing style lunch, with platters of charcuterie, antipasto and cheeses. Live music from 1pm.